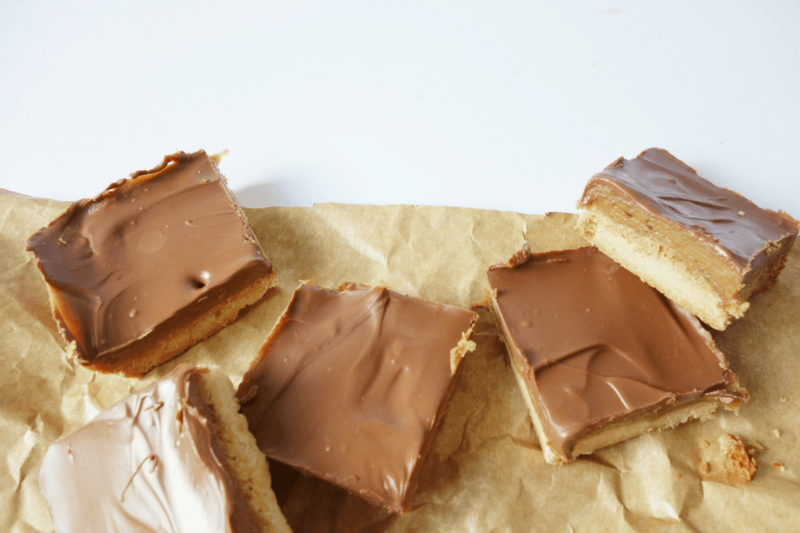 Classic millionaires shortbread is one of my favourite things. I could probably eat it until I’m sick. It’s only recently that I’ve discovered how ridiculously easy it is to make, using ingredients that you probably already have in your cupboard, and from then on I’ve been more addicted than I was previously. This stuff is delicious, trust me. Step One | Preheat your oven to 190 C / Gas mark 5 and grease a baking tray. Combine the base ingredients into a dough and press evenly into the tray. Bake for 20 minutes and allow to cool. Step Two | Whilst that’s cooling, pour the condensed milk, butter and brown sugar into a pan. Bring it to the boil and then boil gently for 5 minutes, making sure you stir continuously so it doesn’t burn or stick. Pour the topping over the shortbread and allow to cool. Step Three | Melt your chocolate over a pan or in the microwave (20 second bursts, stirring when it starts to melt) then pour it over your topping. Allow to cool once more, then cut into squares. 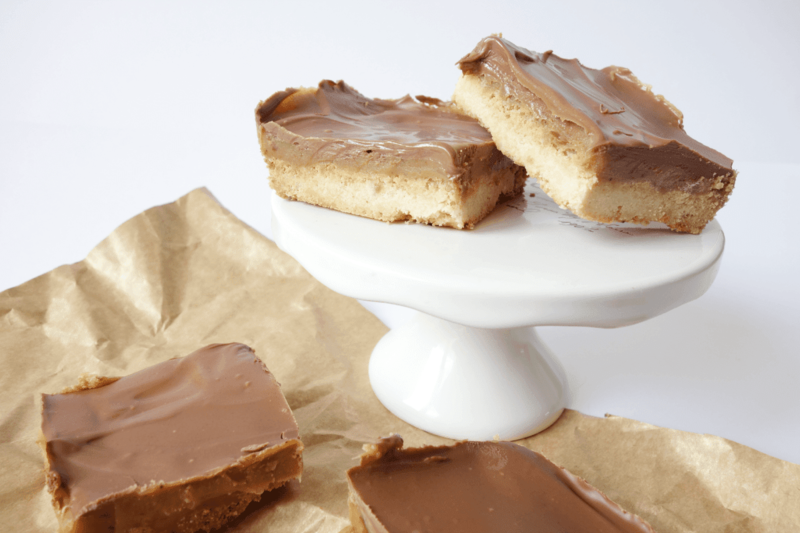 So that’s six little ingredients to make the most delicious weekend bake. 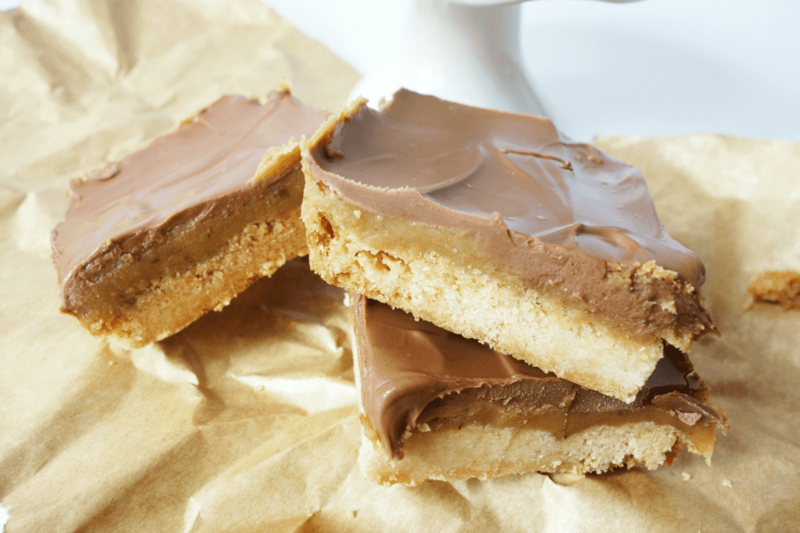 You could always add chocolate chips to the base or melt a different chocolate bar to make your own twist on a classic. If you make it, let me know! I’m always so flattered when someone decides to bake something I’ve blogged about!